Donald Tusk has appeared as a witness in what he called an “extremely political” probe into Polish-Russian intelligence cooperation. 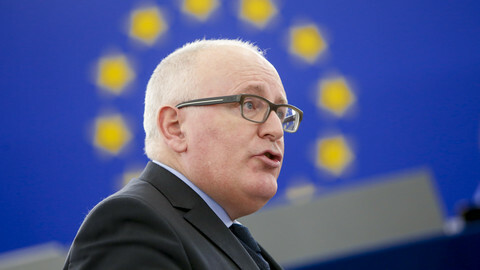 The president of the European Council and former Polish prime minister, who was recently reinstated in his post despite fierce opposition by the Polish government, answered questions at a prosecutor's office in Warsaw on Wednesday (19 April). The probe concerns a cooperation accord between between Polish military counter-intelligence and Russia’s FSB spy service. The agreement was signed in autumn 2013 but never entered into effect because of Russia's annexation of Crimea from Ukraine in 2014. The allegations come in the context of the 2010 Smolensk air disaster in which a former Polish president, Lech Kaczynski, and his entourage died en route to a World War II memorial event in Russia. Lech Kaczynski’s twin brother, Jaroslaw Kaczynski, who now heads the ruling Law and Justice party, has, for years, hurled unsubstantiated accusations that the disaster was a Russian plot and that Tusk, his political nemesis, was somehow involved. 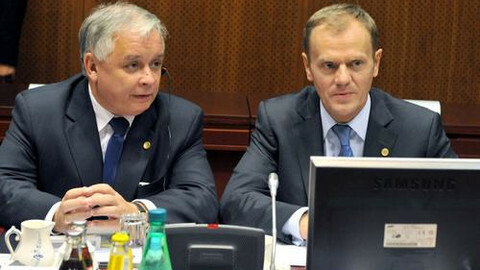 The Polish prosecutor handling the 2013 FSB case has said that two former Polish spy chiefs said the intelligence accord was signed without Tusk’s knowledge. But one of the former Polish spy chiefs has contradicted the prosecutor, saying that Tusk did give consent. Wednesday’s hearing was held behind closed doors and Tusk told media afterward that he could not comment on details. He added that the whole thing was part of the old Jaroslaw Kaczynski vendetta, however. "The case is extremely political”, he said. The affair also comes amid a clash between Law and Justice and EU institutions over the party’s alleged meddling in Poland’s judicial system. The Law and Justice government last year passed a bill that made its justice minister, Zbigniew Ziobro, Poland's prosecutor general. But if Wednesday’s hearing was designed to smear Tusk, it might have backfired. 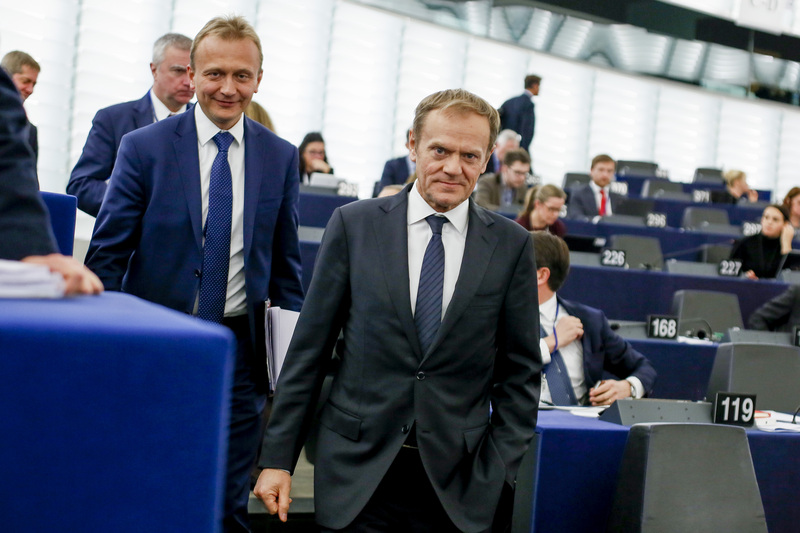 Poland's opposition used the opportunity to portray Tusk as a hero. Tusk travelled to Warsaw by train from his home in Sopot, a seaside resort on Poland’s Baltic Sea coast where he had spent Easter and where he was sent off to the capital by a crowd of supporters. His fans crowded round him in Warsaw as he walked to the hearing and stayed outside the building while he answered questions. He also signed autographs after the hearing as people sang birthday songs ahead of his 60th birthday on Saturday. The jubilant scenes saw Law and Justice members complain that he had used the event to launch his presidential campaign. Poland's "establishment wants to portray Donald Tusk as a victim and a mistreated politician”, Ziobro said. Tusk is expected by many in Poland to run for the country’s highest office in 2020. He did not rule out the move on Wednesday when asked about his intentions, but he said that, for the time being, he had other things on his mind. A spokesman for the prosecutor also said Tusk was unlikely to be called back for another grilling in the 2013 FSB case. But Law and Justice is already looking for other ways to bring Tusk to court. Its defence minister, Antoni Macierewicz, said last month he had filed another complaint with Ziobro’s office which accused Tusk of “treason” over his handling of the Smolensk enquiry. 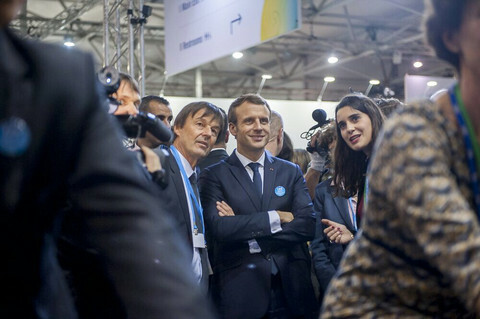 The Russia conspiracy circus is losing its appeal among Law and Justice supporters, but it has helped to create a toxic climate in one of the EU’s largest member states. The number of people who believe that Smolensk was not an accident has dropped since Kaczynki’s party came to power despite its repeated allegations. It has also lost traction despite Law and Justice’s efforts to seize control of Polish public media. That control was on show on Wednesday when Poland’s TVP broadcaster dedicated a long segment to the fact that one member of KOD, an opposition movement, who has been accused of trafficking women for prostitution, came to greet Tusk after the hearing. KOD, an NGO, has organised mass-scale pro-democracy protests against Law and Justice. It took over the role of Poland’s main opposition group after Tusk’s former party, the centre-right Civic Platform, fell into disarray. If Tusk and KOD are the opposition’s main hope to challenge Kaczynski’s authority, that hope is far from certain, however. 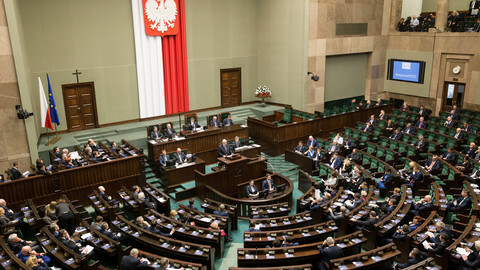 KOD’s image has suffered among revelations that its leader, Mateusz Kijowski, payed himself hefty fees from the NGO’s budget. Tusk’s supporters on Thursday, including from KOD, numbered just a few hundred people. An MP from another opposition faction, the liberal Nowoczesna party, also showed that the anti-Kaczynski camp is disunited. 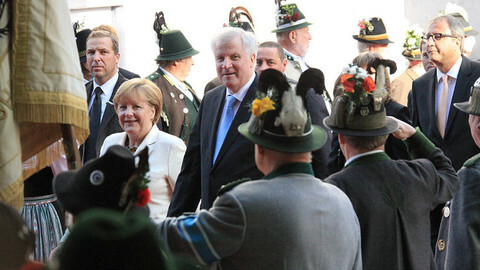 Joanna Scheuring-Wielgus told the TVN24 broadcaster that 19 April should not have been used as “a day of greeting Tusk” because it had a more solemn meaning as the memorial day of the 1943 uprising against Nazi Germany in Warsaw’s Jewish ghetto. A poll earlier this week showed to what extent the political punch-ups have damaged trust in Polish society. 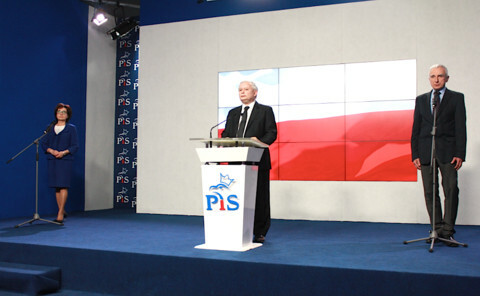 The survey by Ipsos said 46 percent of Polish people felt “disappointed” by their politicians. It said that 44 percent felt “angry” and that 33 percent were “afraid” of what might come next.